Disclosure: This is a sponsored post, in conjunction with Ehrmann USA. I received compensation for participating in this promotion. One thing I don't talk about very often is a little special touch I put in the lunches for my daughter. It isn't complicated, takes little to no time to do, and is one of my daughter's favorite things. You want to know the secret ingredient? It's a lunch note. Bet you didn't expect me to say that. People always ask what are some ways that parents can get started making fun lunches for their kids. Lunch notes are one of the first things I say to work on because they are a simple place to begin. 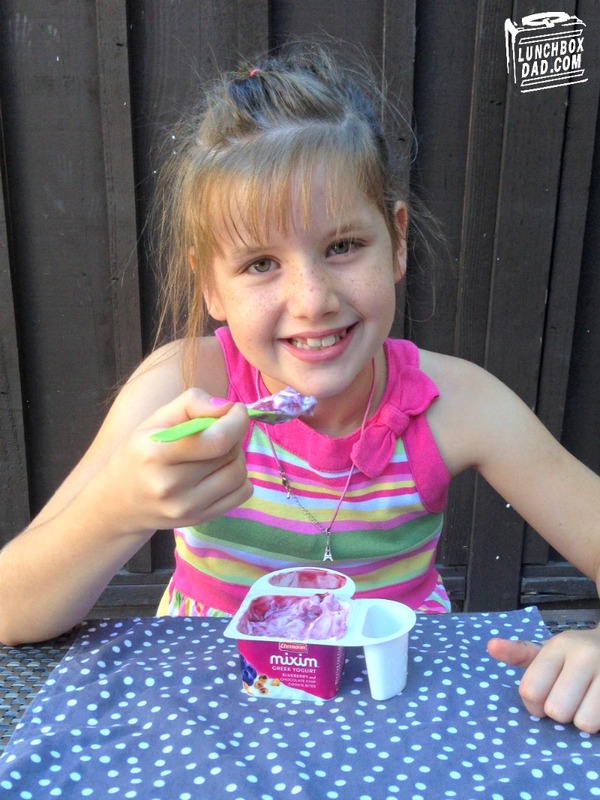 One of the really fun ideas I've seen for back-to-school is from Ehrmann MIXIM yogurt. They have designed a number of different tools for parents to help with making lunches for their kids and add a little #MIXIMLove. It is called "Love in the Lunchbox." I like the title because it is what I try and show to my kids with every fun lunch that I make them. 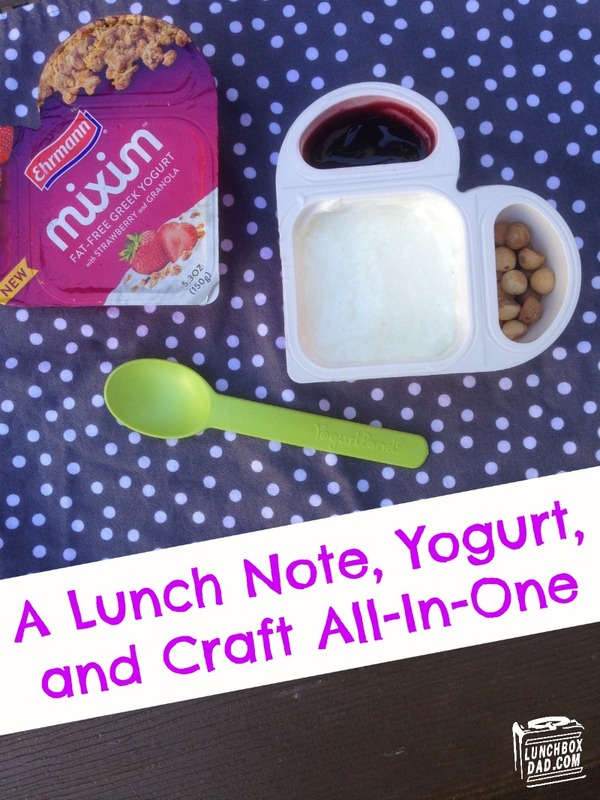 My favorite tool from MIXIM is their free printable lunch notes. You can download them right here: http://bit.ly/LoveintheLunchbox. Keep reading to see the great craft I came up with that uses these lunch notes in a creative way! A funny thing happened after I downloaded MIXIM's "Love in the Lunchbox" tools, however. My family tested and fell in love with their Greek yogurt. I know what you're thinking, "Unicorns, leprechauns, and fat-free kid friendly Greek yogurt all belong in the same fantasy category." I swear to you this is real! The taste and the texture are what won my family over. 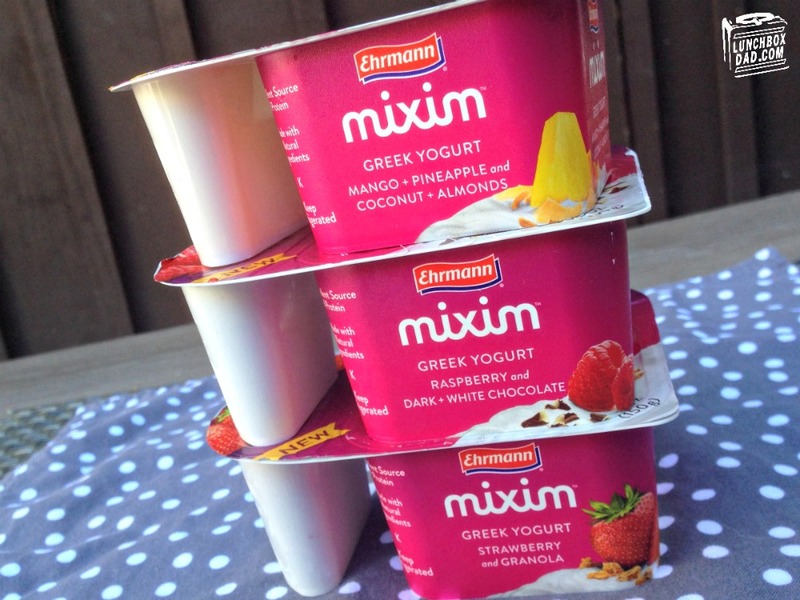 In every container of MIXIM you get two toppings that you can mix in a little at a time or all at once. There is always a sweet fruit and a crunchy topping that go great together. The container is heart shaped and divided into three chambers to keep the toppings and yogurt separate until you are ready to mix them. 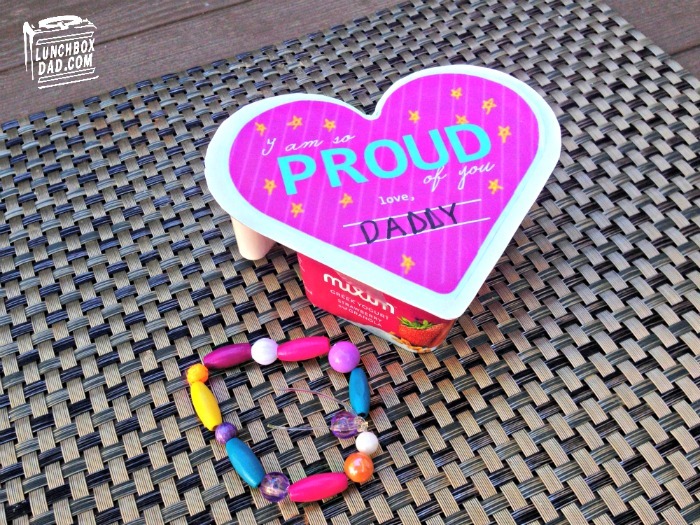 The heart shape of the container (and their printable lunch notes) are what gave me the idea for the fun kid's craft you will find below. One of my favorite flavor combos is the Strawberry and Granola, but my daughter absolutely loved the Blueberry and Chocolate Chip Cookie Bites. She had it for an afternoon snack and immediately asked for other flavors in her school lunches. There are seven different flavors ranging from Blackberry With Pomegranate and Granola (only 145 calories) to Cherry and Dark Chocolate Curls (only 160 calories). MIXIM is available now at your local grocery store. I can't forget one of the coolest things that Ehrmann MIXIM does. Here at Lunchbox Dad I like to help parents anyway I can and Ehrmann is helping kids and parents in a big way. They are a partner and contributor to The Children's Heart Foundation, which helps children with congenital heart defects. In fact, for every download or share of their "Love in the Lunchbox" idea tagged with #MIXIMLOVE, Ehrmann MIXIM will donate $1 to the Children's Heart Foundation (*Up to $7,500). So download their free "Love in the Lunchbox" ideas before September 30 to help out the cause! You can learn more by following Mixim on Facebook HERE or on Twitter HERE. Here is my #MIXIMLove idea. It is so easy any parent can make it for their kids and many children can even make it to give to their friends! It's my Heart Shaped Bracelet Bead Kit made with an empty MIXIM yogurt container. The idea is that it can easily be taken to school and kids can make bracelets with their friends. Plus, every time your child sees it they can read the lunch note on top that you wrote them! Below are the directions and a graphic to pin on your Pinterest boards with step by step pictures. Have fun packing school lunches and showing your kids love this year. Believe me, every little special thing you do they remember and it makes a difference! 1. Wash out an empty MIXIM Greek yogurt container. Print and cut out a "Love in the Lunchbox" note from http://bit.ly/LoveintheLunchbox. Choose whichever note fits your child best. Gather cardboard, transparent tape, scissors, pen, and rubber cement or a glue stick. You will also need string and beads to make the bracelets. 2. Turn cardboard over to back and place MIXIM yogurt container upside down on it. Trace around container with pen. 3. Cut traced heart out of cardboard. 4. 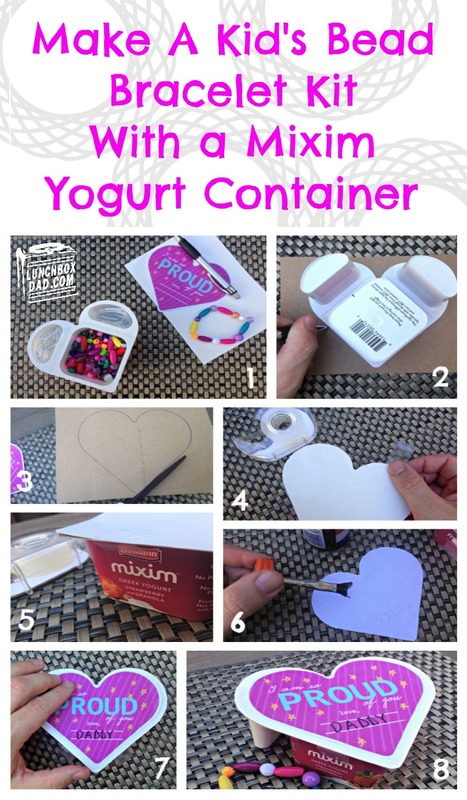 Flip cardboard heart over and tape it to top of the yogurt container. Use two pieces of transparent tape, one on each side of the top of the heart. 5. Use two pieces of tape on the bottom of the heart. These will be the "latch." 6. Sign printed out MIXIM lunch note. Brush rubber cement on the bottom of note. You may use paste instead. 7. Place lunch note on top of cardboard heart and smooth until it is glued down. 8. Fill with beads and string. Give to your child as a surprise in their backpack or lunchbox!